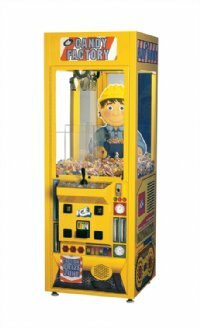 Candy Factory, one of the mini 24" crane range from ICE, features a new claw, crane wagon and electronics. These mini cranes are great to look at, very functional, and very reasonably priced. The size of these cute little cranes also means they are perfect for arcades, shopping malls, motorway services and just about any other location you can think of!